Nice too. Roof looks great. Overall very satisfied with the roof. Workers were so diligent and completed replacing our roofin one day! Very satisfied altho there were a couple of waits for service. Excellent. That's why I always call Nanfito. Nanfito is the BEST! I am a repeat customer and have spread the word to others how good Nanfito is! March 05, 2019 by Marie B. on V. Nanfito Roofing & Siding, Inc.
by Wilfred P. on V. Nanfito Roofing & Siding, Inc.
by Norma Santiago on V. Nanfito Roofing & Siding, Inc.
by Dan Busa on V. Nanfito Roofing & Siding, Inc.
by George Borton on V. Nanfito Roofing & Siding, Inc.
by James K. on V. Nanfito Roofing & Siding, Inc.
We were not at home when roof was done. We came home and were surprised by how clean our yard was. Neighbors only complimented your work. by Tom R. on V. Nanfito Roofing & Siding, Inc.
From the 1st telephone call V. Nanfito was a pleasure to deal with. All employees were most helpful and the job looks wonderful. 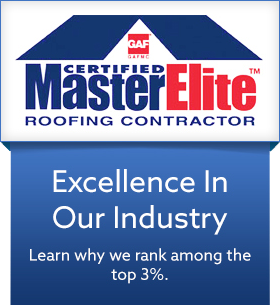 by Barbara Perrotti on V. Nanfito Roofing & Siding, Inc. Excellent. That’s why I always call Nanfito. July 22, 2018 by Lisa Lehr on V. Nanfito Roofing & Siding, Inc.
We’ve lived in Meriden for 25 years and we had a leak somewhere on the roof but not sure how it happened we decided to go with a local company to see what was going on. When we made our call it was after the macro burst and micro-bursts that happened in Wallingford and Hamden and we thought they wouldn’t be getting back to us for at least 2 weeks. Everyone I spoke to from Brittany in the office to Joe who helped us with our estimate to the gentleman who was on my roof, (I never did get his name) they were the most professional people I have dealt with and would be happy to deal with again. Joe thanks again for taking the time to write a statement about what was found/ or not found on the roof so quickly. I”m happy to say our insurance may be able to help cover some of the repairs needed inside the house now that we have fixed the roof. I can easily say I felt valued as a customer. My house is not the largest but it is my home and the care from Nanfito was top notch. July 20, 2018 by Janet Bernaki on V. Nanfito Roofing & Siding, Inc. Replaced our roof with Nanfito. Excellent job! Everyone was pleasant and courteous. Awesome cleanup. Roof looks great.